Organization is a major key to successful homeschool days for many families. It is especially important if, like us, you have even one child with medical concerns. Personally, I'm a list maker and extreme organizer who is lost without my calendar. 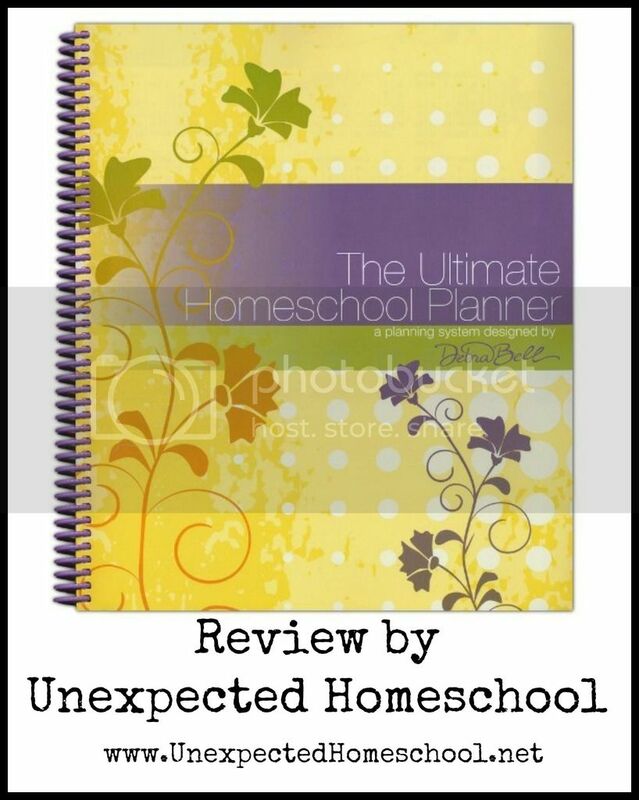 Recently, I began using The Ultimate Homeschool Planner (Yellow Cover) from Apologia Educational Ministries. I wasn't expecting such a lovely and full planner. It's a large, spiral bound book that comes in a variety of pocketed vinyl covers. The Ultimate Homeschool Planner is designed especially for homeschooling families and includes a wealth of features to make our school years and days run smoother. An full school year calendar display for the school years 2015/2016 through 2022/2023. A front page to document the current school year and students. A quick one year planning grid. Student goal setter for both character and academic goals. Detailed instructions on how to use this planning system, which includes specifics for weekly, monthly, and yearly school planning. The full color pages with example graphics make this section a particularly valuable asset. A page to document family priorities before deciding on the details of your school year. Several pages of blank resource lists to complete for each of your students. The book of the pages in The Ultimate Homeschool Planner are dedicated to two types of calendars / planning pages. The monthly planners are a two page, at-a-glance style calendar with room to write in each day, while the entire month is visible at once. The month headings and day numbers are blank, making each of these month planners usable no matter which month you begin using the planner. Each month also has room for notes at the bottom of either page along with inspirational and Bible quotes. There are enough monthly planning pages for an entire calendar year. The weekly planning pages are where the lesson details for each student can be recorded. Every week of the year has a four page spread that starts will a full page for "The Lord's Day". This page includes a quote plus room to enter a Bible plan for the week, a Battle Plan (fighter verse), Prayers, and Hospitality / Outreach. The second page of the weekly planner is divided into two sections: one for the week's Memoriable Moments & Achievements, the other to record evidence of grace. This last section can be especially helpful during difficult weeks when you need to focus on positive aspects. Resource list and front page. The final two pages are a six by six set of lined blocks or squares for use in planning. The rows and columns are not labeled so they can be used in a multitude of ways. For example, you can structure it with each of you students listed across the top and their subjects down the side, which allows each block to be the weekly lessons in that subject for each student. If you have only one child, like us, you can again put the subjects down the side and use the top six columns for the days Monday thru Saturday. These detailed planning pages also have room for notes, supplies needed (perhaps for experiments or special projects), and appointments. After the year's worth of weekly planning pages are a couple of sheets where you can record student grades, reading lists, field trips, and activities. 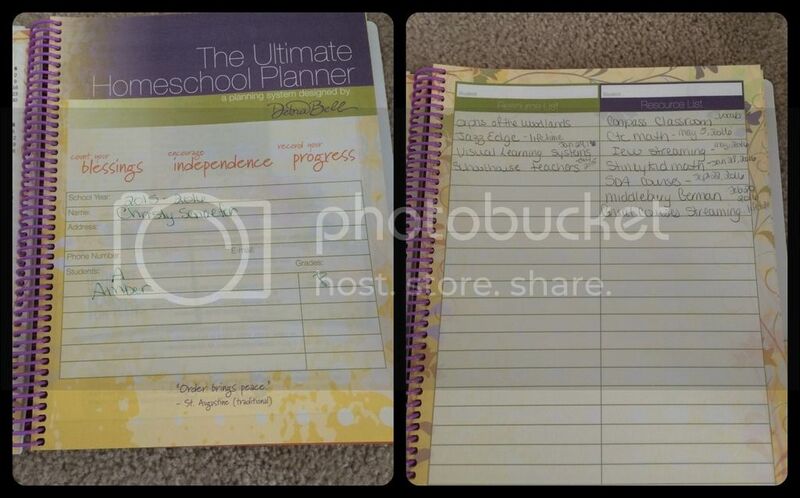 It's the little details like these pages that complete the planner and make it easy to store all your homeschooling related information in one place. Valuable teaching tips to help understand learning styles and thinking styles. A high school planning guide to help map out high school courses and credits. The empty high school planning grid is accompanied with a sample schedule for a competitive merit scholarship candidate. This guide even has summer planning and college admission testing. A couple of pages to summarize the progress of your students in a year-end review. I've never been the type to use paper school planners. I might make a few handwritten notes when initially planning courses for the year, but almost everything I do is in our electronic tracking software. After years of planning this way, a paper weekly planner is not something that fits either my or Amber's style. However, the Apologia Ultimate Homeschool Planner offers so much more than daily lesson planning. I used the high school mapping section to clearly lay out Amber's high school courses in one easy to find location. Reading through the planning and teaching tips sections was quite enjoyable and gave me some great ideas as well as reminders. Weekly planning, and high school planning! I also found the Resource List invaluable in documenting all of our online educational sources. Often I forget about free resources that come with our curriculum and even sometimes some of our paid subscriptions. This list has definitely made it easier to locate all of our available educational materials, including the physical products I forgot were on the shelves. Lastly, I did end up using the weekly planning pages, but not for our school lesson plans. As I mentioned earlier, I am a list maker. These pages are the perfect place to document my daily and weekly to-do lists as well as adding my meal plans for each day, Amber's food trials and subsequent reactions. I know it wasn't exactly the intended purpose of those pages, but it has kept me even more organized than normal and I've got all of our other school information along with our daily lists. I seriously am in love with the entire planner for the extra organization it has helped me achieve. If you are a paper school planner, then The Ultimate Homeschool Planner has everything you could ever want to keep your homeschool organized. Even for those of us who don't use daily paper planners, there is extraordinary value in this planner. 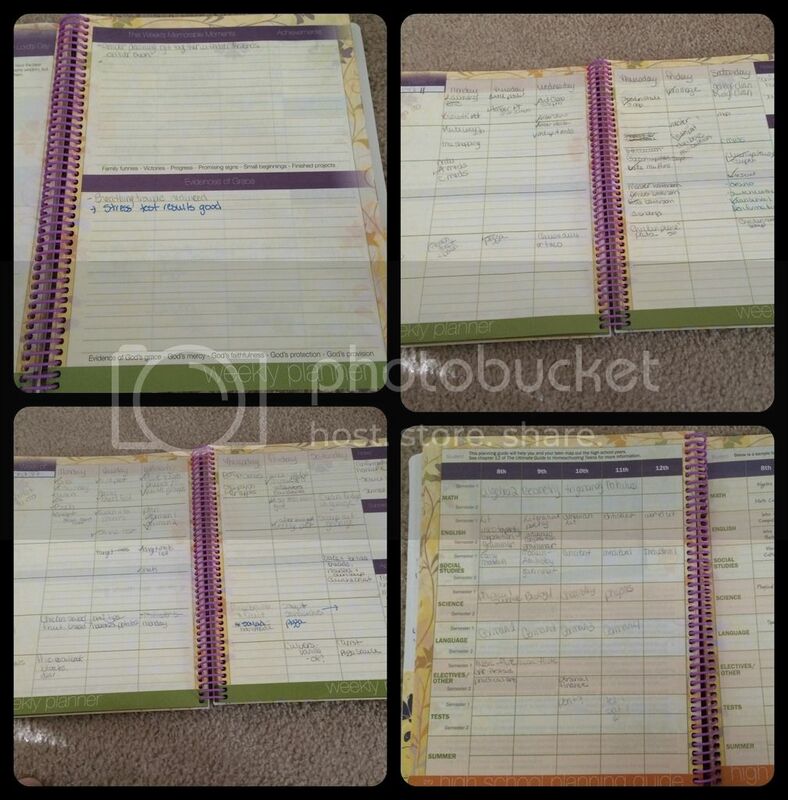 Visit other members of the Review Crew to see how they used this fantastic planner!